Does your company seem to have the funds? Is your office configuration strict? What if you don’t work there yet? We’ve been there: asking for something at work can be hard, whether it’s for something big like a raise, something small like a new responsibility, or even just permission to use your own vacation time! Asking for a standing desk at work doesn’t need to be that way – here’s our guide to formulating your request and getting your boss to say yes to a standing desk. Generally, in the world of office work, you don’t get something unless you ask for it. Workers at your office have been provided with ergonomic chairs, keyboards, wrist rests, etc. In some offices, getting a standing desk is a no-brainer: standing desks are standard issue and you either get one by default or you simply ask and receive. In ten years in tech, I’ve worked in exactly one of these offices. Everywhere else, I’ve had to build a case and ask. Here’s a few ways to determine if it’s a good time to ask – and how successful you might be. You might think that a well-known, major company is more likely to hand out whatever equipment people ask for. In my experience, this is not necessarily a guarantee. My first standing desk came from a relatively unknown company. My next job was at a well-known entertainment company and they balked at the cost of everything, from snacks to second monitors to standing desks. How long has it been since you last asked for something? If you just spent some “political capital” on something (changing teams, changing seats, etc.) then it might not be a great time to ask. Give it a few months and work hard so you’ll be ready when the time is right. 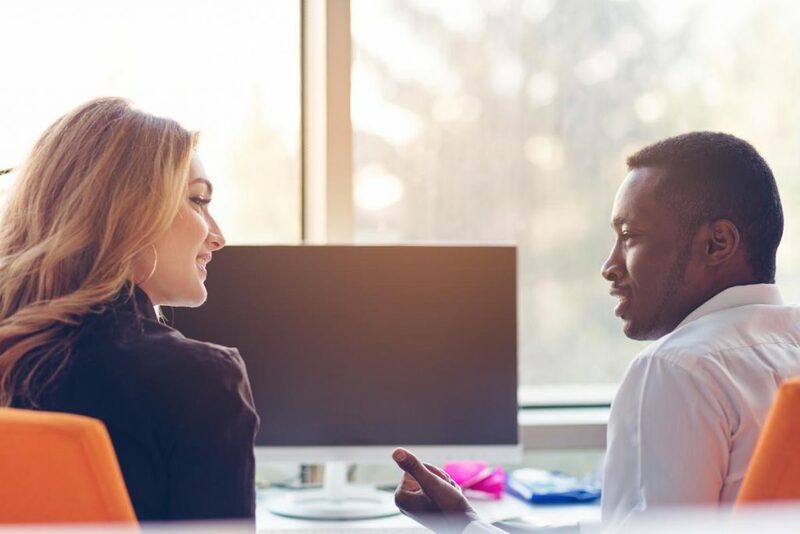 If you haven’t asked for anything in a while (or never have) then that’s a good sign that your request won’t raise eyebrows – good managers are always looking for ways to motivate and reward their employees. Your company’s annual or semi-annual review season can be a good time to ask, too. If review season is approaching and you expect your review to include an opportunity to talk about your future at the company, that’s a good opening. Asking for equipment to help you do your job better should be one of those things that goes over well with your manager or boss, so it helps to frame your request as “this will help me do my job better” instead of “I want to try this new thing”. If you’re crammed into a bullpen with two dozen other employees, asking for a standing desk might be a non-starter. Likewise, if your office is a sea of cubicles, hexagon-shaped pods or rows of shared tables, you might also face an uphill battle in trying to get a desk that’s different from everyone else’s. Some offices are built out of modular furniture that might make it difficult to swap out one desk for a standing desk. If this describes your office, you might not be able to get a full-size standing desk, but you might succeed in asking for a converter. If you work in a cubicle, you may be able to fit a standing desk into the cube – or your facilities manager might balk at the idea of having to take the cubicle half apart to get the desk into it. First of all – remember, you work hard for the company, and you’re worth the extra investment! Bring in some research! There’s plenty of studies (and anecdotes) in favor of the benefits of standing while working. They aren’t huge life-changing benefits, but they add up. This recent study found that standing desks boost productivity by as much as 46% on average (link to study). Australian company Ladoo found that standing desks increased collaboration among employees. If you’ve tried a standing desk elsewhere and found it helpful for X or Y reasons, be sure to mention that! Your boss is more likely to say yes if it doesn’t sound like you’re experimenting on his/her dime. Just be careful not to make it sound like you won’t be able to get by without a standing desk. Also, if you’re thinking of bringing in a doctor’s note, just be aware that, generally speaking, a doctor can diagnose an ailment or limitation but they can’t order your workplace to accommodate it in a particular way. Here’s a worksheet (written for employers) that describes the ways an employer might respond to a doctor’s note. Don’t come in with a whole sheet of options, and don’t make your boss pick for you. Here’s a chance to demonstrate initiative and leadership – be decisive and do the legwork (on your own time) before you go to your boss with the request. And be ready for questions! You should be familiar with the major advantages and drawbacks of each desk you pick. But, don’t get super attached to a particular desk – your office might already be considering adding some standing desks, or they might have to use what corporate dictates, or they might have a particular supplier they do business with. This is where it’ll be helpful to know what design of desk you’d like (ie: a converter vs. a full-size desk) rather than a specific make and model. When you make your request, be humble (not demanding) and demonstrate that you’ve put plenty of thought into this. Don’t run into your boss’s office the day after you get the idea (see Step 3, the one about doing research and picking a few desk models yourself). A good time for the conversation might be during a recurring monthly 1:1 or your annual review. Or, if those are too unpredictable (or nonexistent), look for a time when your boss seems to be in good spirits – a major project just shipped, nothing’s on fire right now, and you have some recent accomplishments under your belt. Chances are, your boss will have to ask someone else – either their boss, or someone who manages the budget – so you’re effectively asking your boss to go to bat for you in a way that’s smaller than but similar to the way they might go to bat for you for a raise or promotion. If you can, it’s best to ask in person. You’ll be able to read your boss’s receptiveness to the idea and abandon ship quickly if it looks like the conversation isn’t going the way you want it to. Thinking about the coming year, I’d like to ask if switching to a standing desk might be an option here at CompanyName? Alternatively, you might go the health angle – a lot of companies are introducing opportunities for employees to earn rewards for healthy behavior. Presumably, companies implement these programs because they care about their workers and want to invest in their long-term health. Besides, healthier workers are less likely to call in sick. I was thinking about our company’s health initiatives, like the program where employees get rewarded for things like quitting smoking. Do you think that standing desks might be an option for us? Hey Boss Name! I’ve read a lot about standing desks and I’d like to ask you if I might be able to have a standing desk here at CompanyName. When you’re still interviewing or considering an offer is actually a great time to ask for a standing desk (and it’s how I secured a standing desk at a company that only had 3 standing desks to share amongst 50 workers). If you’re still in the interviewing phase, remember, you’re interviewing them, too! You can ask all kinds of questions at this stage, especially questions that make you look like a thoughtful, engaged employee. I do have a question for you, actually – are standing desks common at CompanyName? I’ve heard a lot about CompanyName’s culture, and I love your focus on employee wellness. Can you tell me if standing desks are an option for your employees? Only you can decide if a “no” answer upfront is a dealbreaker or not. Some offices might be open to the idea once you’ve proven yourself, but if you accept the offer, you may have to accept that a standing desk may never be a possibility at this particular office. There can be many possible reasons why the answer is no, many of which are outside the hands of your boss. It could be a union limitation, a budget constraint, or your workplace might insist on “ergonomic training” instead (potentially involving a tedious online training session and/or adjustments to your existing chair). In the meantime, keep up the good work – you’ll want a good reference if/when you leave for greener pastures someday.